At a Hurun Canada Fortune Forum on Sunday in Markham, hundreds of business people from the Federation of Canadian Chinese Chamber of Commerce, along with Canadian government officials, gathered to discuss wealth management and trade between the two countries amid tensions over the Dec 1 arrest of Huawei Chief Financial Officer Meng Wanzhou at the behest of the United States. The Hurun Report is recognized as an authority in tracking the rapid change among China’s high net-worth individuals. The chairman and chief researcher of the Hurun Report, Rupert Hoogewerf, also known by his Chinese name Hu Run, said at the forum that the arrest of Meng has affected local businesses. “Everybody in our community is talking about it because it has impacted our business and travel, and we don’t want to see this tension escalating,” he said, adding that the globalization of wealth needs “more connection rather than disconnection”. There has been a lot of wealth created in China over the last 20 years, and the current trend is to spread out and diversify such wealth to the rest of the world, Hoogewerf said. “The first choice is North America. We see the US and Canada are the preferred destinations for Chinese to live. Many Chinese want to do business in North America, but the current situation needs to be resolved first to facilitate trade and business activities,” he said. The tension between the two nations developed when Canada arrested Meng at the Vancouver International Airport on an extradition request issued by the US. China has demanded her release and called her arrest arbitrary and illegal. Meng was freed on $10 million bail but remains in Vancouver. 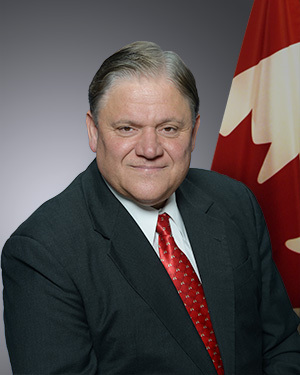 “We talk about trade, we talk about making money, we talk about moving on, but how are we going to get past the crisis that we are facing now?” Jim Karygiannis, the former Liberal Member of Parliament (MP) and current councillor of the city of Toronto, told the forum. “I see this crisis involving all of us. We have to figure out and find a solution because you cannot do business with the elephant in the room, and (not) talk about the elephant,” he added. Relations seemed destined to improve when the Liberals came to power in 2015. Canadian Prime Minister Justin Trudeau’s late father, former prime minister Pierre Trudeau, led the move to establish diplomatic relations with China in 1970. 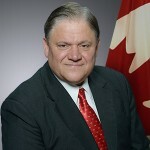 Bob Saroya, Conservative MP who attended the forum, also pleaded for an end to the crisis, saying both Canada and China needed each other, and “we’re all working together to resolve the issue as soon as possible”. Trade between the two countries almost doubled in the last decade, Saroya noted. China is the second-largest trading partner of Canada and its top export market. “We need each other. Canadians are frustrated with the government’s failure thus far to address the escalating tensions and crisis with China. We are demanding that Prime Minister Trudeau pick up the phone and call President Xi Jinping immediately,” Saroya said. Saroya said that as a former business owner and entrepreneur, he understood the challenges that businesses are facing now. “I also understand how important it is for our government to create an enabling environment to support our businesses and to ensure (their) success,” he added. Sunny Jiang, founder of Global Gem Exchange and one of the forum’s organizers, said opportunities always emerge for entrepreneurs in market shortfalls or even crises. “I and most other peer entrepreneurs believe that the Canada-China trade relationship will simply get better and better after the current short-term setback,” Jiang said. “This is based on solid mutual market demands of both countries. Whoever believes in this trend and acts promptly will be able to catch up and lead in the market eventually,” he said. Jiang said he was impressed that many people nominated Huawei Canada for the Hurun Canada-China Relation Awards, as Huawei’s mobile phones have a good reputation with Canada’s consumers. “It very well deserves such an award. However, they humbly rejected the nomination for the award,” he said. Jiang also said Chinese-Canadian entrepreneurs should be proactive and daring, to win respect from the local market and their home country. Telus, Canada’s third-largest wireless carrier, sent a memo to about 30,000 employees defending its decision to use Huawei equipment in Canadian networks last week, according to The Globe and Mail. Jill Schnarr, Telus vice-president of communications, confirmed the memo. Telus noted the technological success it has achieved in cooperating with Huawei and also emphasized that the Canadian company has worked closely with the Canadian government to address any security concerns.